What is the purpose of the gutters on my home? At Lon Smith Roofing we have been roofing Dallas TX homes since 1974. In that time we have come across every question in the book it seems like. We don't mind though, we are experts in our field and we are always happy to share the knowledge we have with our clients. Understanding what we do is helpful for all of us and good communication is important. If you ever have a question please don't be afraid to ask. Without further ado, the answer to our latest question: Are gutters necessary? Purpose of Gutters - Are Gutters Actually Necessary? Those new to homeownership and home maintenance may question whether gutters are an absolutely vital component of their homes’ exteriors, or just some sort of decorative element. While it’s true that professionally installed gutters create a crisp, clean edge around your home’s roofline, their main purpose is far from mere adornment. Contractors install a gutter system on every new house they build because its job—guiding rain and storm water off the roof and away from the foundation of the house—is essential to the home’s structural well-being. That is, when the gutter is kept clean and free from debris. A Little Water Never Hurt Anyone, Did It? 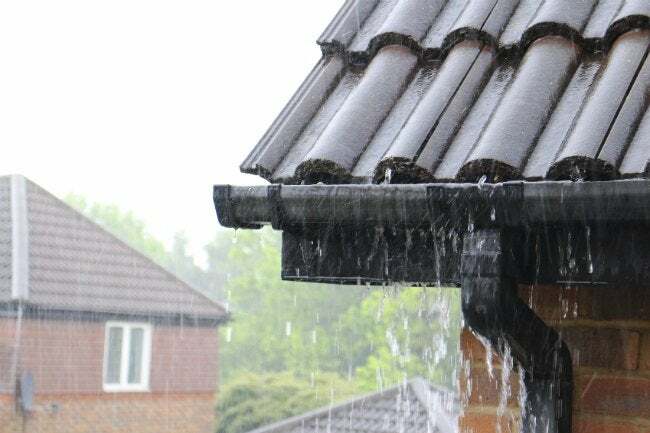 No matter how gently rain falls onto your roof, the water builds up as it runs off and creates a powerful surge that, if not diverted, can hammer the ground next to your foundation—and water and foundations do not mix. Pounding water along the foundation line erodes the soil and can seep down along the foundation, increasing the risk of basement leaks and structural instability. Gutters that safely manage storm water do more than simply protect your house. They also preserve your yard and your neighborhood. Without fully functioning gutters and downspouts to control runoff in a safe manner, rainwater could cut pathways through your yard as well as your neighbor’s, creating ditches, pooling in low-lying areas, and even killing lawns, flowers, and other vegetation. Maintaining Your Home’s Main Defense When you fail to clean your gutter system you’re inviting problems, because clogged gutters can be nearly as bad as having no gutters at all. Rainwater trapped in a clogged gutter or downspout has nowhere to go but over the edge of the trough, rendering your gutter system virtually useless. And if the leaves, twigs, and other debris remain during winter, snowmelt can pool and refreeze in the gutters, potentially weighing them down so much that they can pull free from the house. Clogged gutters also increase the risk of ice dams forming at the edge of the roof. If you have traditional gutters on your home, you should clean them at least twice a year: once in the spring and again in the fall, before winter arrives. With traditional gutters, you have two maintenance options: You can haul a ladder over to the side of your house and clean out the debris by hand, which saves you money but can be dangerous. Or, you can pay to have a professional gutter-cleaning crew clear the gutters and downspouts. Article Source over here: What is the purpose of the gutters on my home? via Blogger What is the purpose of the gutters on my home?